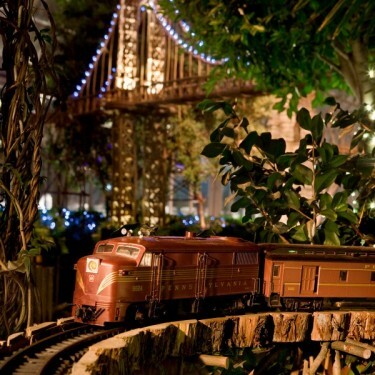 The New York Botanical Garden Holiday Train Show is rolling into town for the 2017 holiday season. 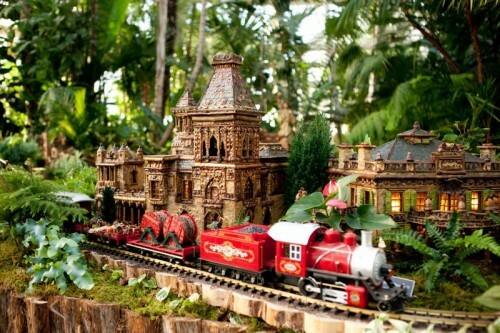 This one-of-a-kind train show is making its 26th yearly tradition of transforming natural materials into iconic landmarks and spaces where enchanting model trains chug about. The Holiday Train Show will be on display from November 22, 2017 to January 15, 2018. I’ve heard wonderful things about this train show and am delighted to get in the holiday spirit by giving away tickets to the show! Admission into the botanical garden is done every 15 minutes. Guests are welcome to stay as long as they’d like until close. 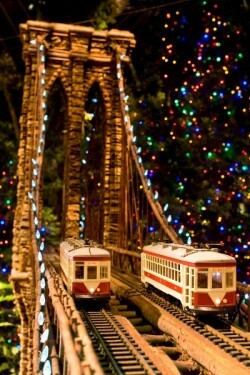 The Holiday Train Show is sure to be a fun family outing for all. There will be more than 150 landmarks from this year’s theme, Midtown Manhattan. Marvel at the miniature city lined with iconic skyscrapers including replicas of the Empire State Building, Chrysler Building, GE Building, and St. Bartholomew’s Church all made from natural materials. Watch the trains zip around on almost a half-mile of track. Enjoy special programming dedicated to families. Climb aboard the Evergreen Express play train for some interactive fun, create puppets and sing songs. There will also be special Thomas the Tank Engine themed songs, pictures and activities. Check website for special times and dates for family events. 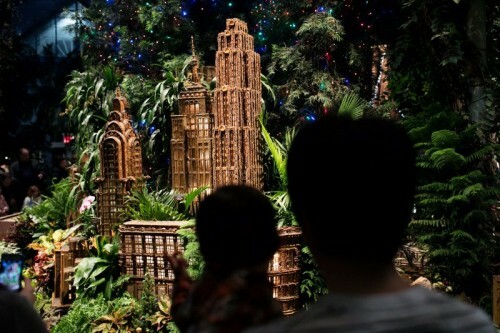 One lucky CT Mommy Blog reader will win a family 4-pack of tickets to the New York Botanical Garden Holiday Train Show.